Alphabet wall art in Russian! 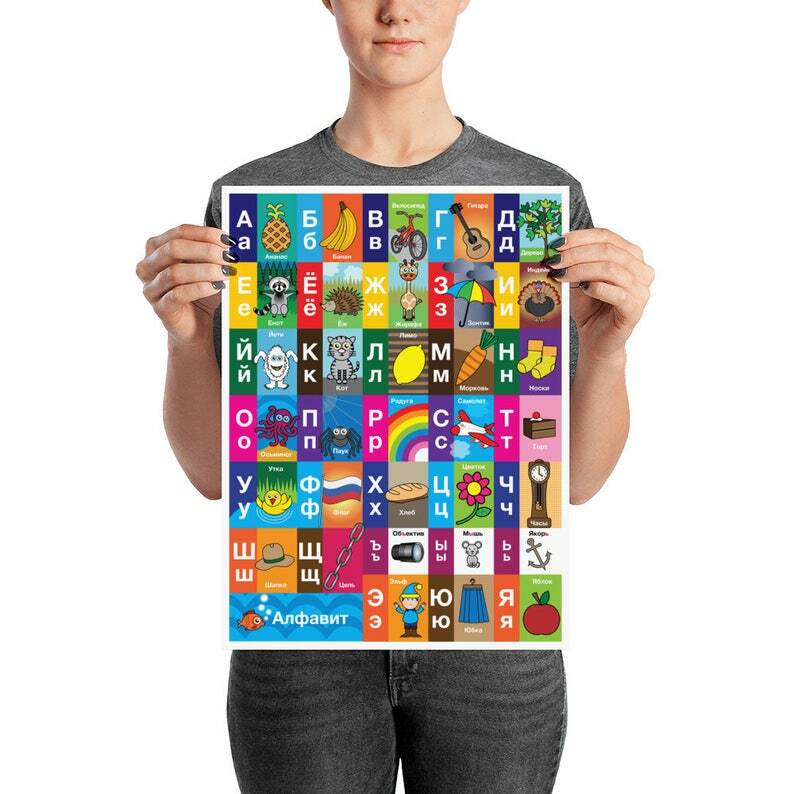 Bright and colourful, based on the illustrations within my books, this is a fun way to help your child learn the Russian alphabet. Especially if it's on their bedroom wall!